Toronto, March 27: Gunmen dressed as traditional hunters have killed 160 people, including women and children, in an attack on a village in the North African country of Mali. The armed attackers targeted the villagers who belonged to the Fulani ethnic community. The village of Ogossagou in the Mopti region was home to the Fulani community. According to reports, the village was first surrounded by the gunmen who were wearing the garb of another hunting community - the Dogon and the men then entered the homes of the villagers, killing entire families as they slept. 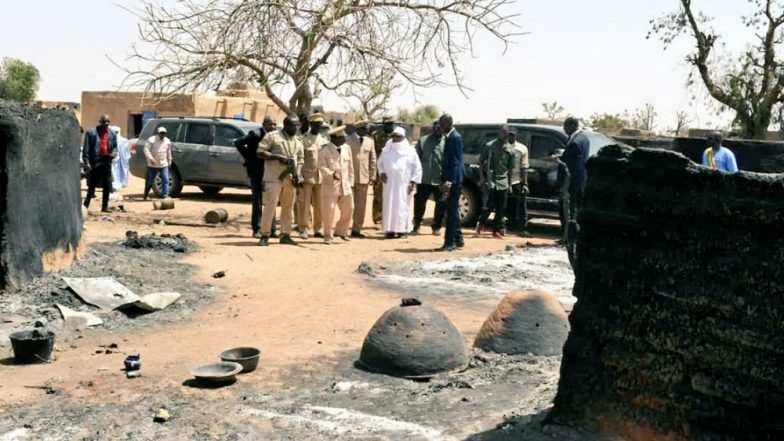 After the killing, the attackers burned all the huts in the village to the ground. The mayor of the neighbouring village of Ouenkoro, described the attack as a "massacre". The armed men are being accused of belonging to the Dogon Hunters tribe, which has links to the country’s military while the Fulanis have been accused of having ties to jihadists and the Al-Qaeda. Mali has remained a footnote when it comes to the spread of jihadist ideology and the consequent fight against it but the country has been in turmoil since 2012. France had sent in troops in 2013 to fight along with Mali’s military against jihadists who had taken control of some parts of the country. After the cold-blooded killing of the villagers, the United Nations has sent in a team of investigators to the Mopti region to ascertain whether this massacre was a matter of the historic enmity between the two communities or in relation to jihadist attacks. "We are in direct contact with the authorities," said Ravina Shamdasani, spokeswoman for the UN rights office. She added that the UN had offered to help to "bring the perpetrators to justice in order to break the circle of impunity". Shamdasani condemned the attacks, saying the "horrific attacks" marked a "significant" surge in "violence across communal lines and by so-called 'self-defence groups' apparently attempting to root out violent extremist groups".